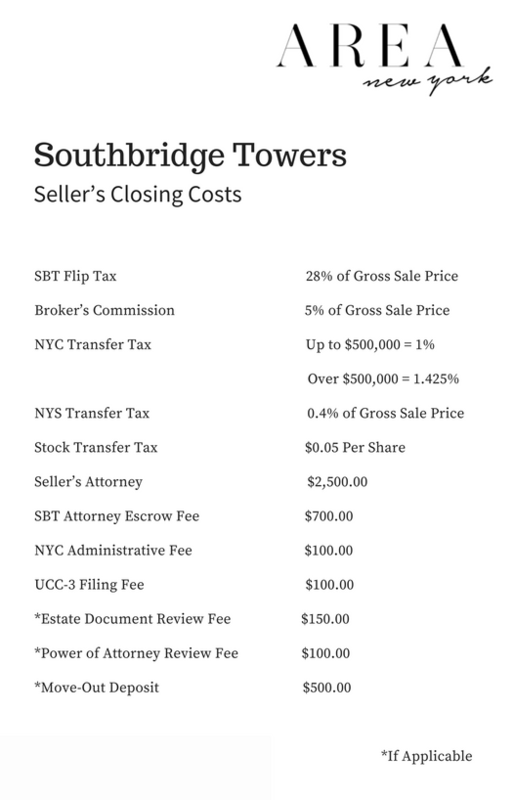 Please contact me anytime for more information regarding the SBT Closing process and costs associated with the sale of your SBT Cooperative. Please see below for an example of Closing Cost deductions. A. The Tenant-Shareholder shall pay to the Apartment Corporation a Transfer Fee (or Flip Tax) in an amount equal to twenty eight percent (28%) of the gross sales proceeds in the event of a sale or twenty eight percent (28%) of the fair market value of the Apartment as determined by an appraisal made by an independent MAI appraiser selected by the Board of Directors, in the event of a gift transfer in connection with the first transfer or sale of the shares of stock allocated and Proprietary Lease appurtenant to a particular Apartment in the building (each an “Initial Sale”) and equal to two and one half percent (2.5%) of the gross sales proceeds in the event of a sale or two and one half percent (2.5%) of the fair market value of the Apartment as determined by an appraisal made by an independent MAI appraiser selected by the Board of Directors, in the event of a gift transfer in connection with sales or transfers other than the first sale or gift transfer of the shares of stock allocated and Proprietary Lease appurtenant to a particular Apartment (each a “Subsequent Sale”). Q. 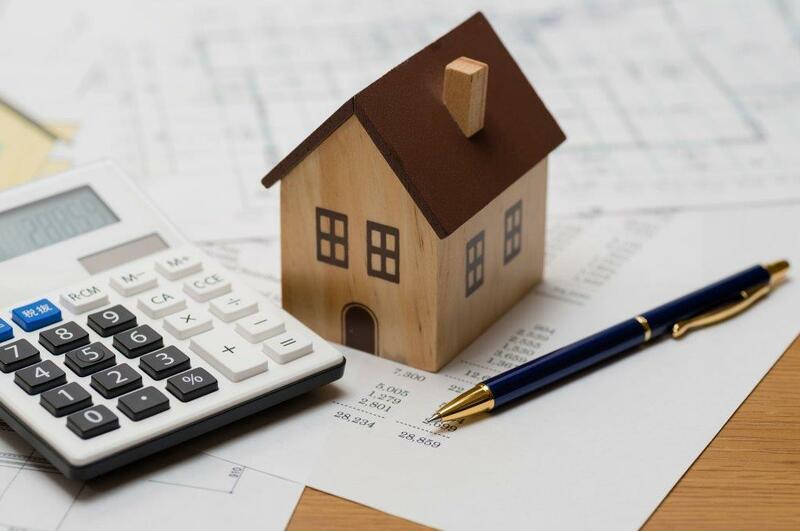 What are the Annual Mortgage Interest & Real Estate Tax Deductions? *Present and past stockholders who were not stockholders of the Corporation for the entire year of 2017 are entitled to a proportionate share of the deductions for the period of their ownership. Q. Can I leave the shares allocated to my apartment in my will to anyone who I wish? 2) Except for transfers between a participating shareholder and his/her spouse or domestic partner, or to an adult child 18 years or older) who has been living in the apartment for at least 2 consecutive years, a transfer fee (flip fee or flip tax) 28% will be due at the time of the transfer (Page 17, middle of the page). In the event the shares associated with you apartment are left to a grandchild or any other person named in the will, the board can reject occupancy! 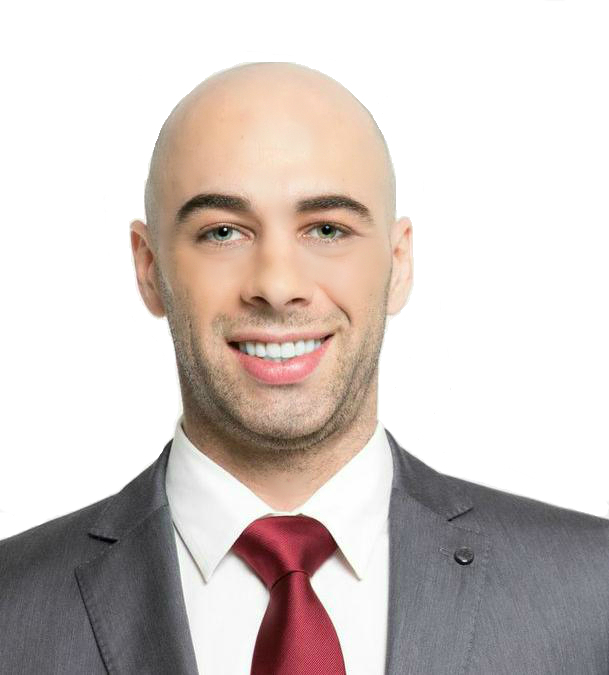 The heir will always keep his/her financial interest in the apartment and would be able to sell the apartment (Subject to approval by the Apartment Corporation and the Apartment Corporation’s right of first refusal) and keep the proceeds of the sale after paying the Transfer / Flip Fee and any additional costs of selling.